The ability to cram more data into less space on a memory chip or a hard drive has been the crucial force propelling consumer electronics companies to make ever smaller devices. It shrank the mainframe computer to fit on the desktop, shrank it again to fit on our laps and again to fit into our shirt pockets. Now, if an idea that Stuart S.P. Parkin is kicking around in an IBM lab in San Jose, California, is on the money, electronic devices could hold 10-100 times more data in the same amount of space. That means the iPod that can today hold as much as 200 hours of video could store every single TV programme broadcast during a week on 120 channels. The tech world, obsessed with data density, is taking notice because Parkin has done it before. An IBM research fellow largely unknown outside a small fraternity of physicists, Parkin pottered for two years in a lab in the early 1990s, trying to find a way to commercialize an odd magnetic effect of quantum mechanics he had observed at super-cold temperatures. With the help of a research assistant, he was able to manipulate the alignment of electronics to alter the magnetic state of tiny areas of a magnetic data storage disk, making it possible to store and retrieve information in a smaller amount of space. The huge increases in digital storage made possible by giant magnetoresistance, or GMR, made consumer audio and video iPods, as well as Google-style data centres, a reality. Parkin thinks he is poised to bring about another breakthrough that could increase the amount of data stored on a chip or a hard drive by a factor of 100. If he proves successful in his quest, he will create a “universal" computer memory, one that can potentially replace computer dynamic random access memory, or DRAM, and flash memory chips, and even make a “disk-drive-on-a-chip" possible. 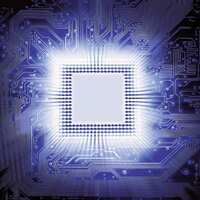 It could begin to replace flash memory in three to five years, scientists say. Not only would it allow every consumer to carry data equivalent to a college library on small portable devices, but a 10-fold or 100-fold increase in memory would be disruptive enough to existing storage technologies that it would undoubtedly unleash the creativity of engineers who would develop totally new entertainment, communication and information products. Parkin’s new approach, referred to as “racetrack memory," could outpace both solid-state flash memory chips as well as computer hard disks, making it a technology that could transform not only the storage business but the entire computing industry. His idea is to stand billions of ultra-fine wire loops around the edge of a silicon chip—hence the name racetrack—and use electric current to slide infinitesimally small magnets up and down along each of the wires to be read and written as digital ones and zeros. His research group is able to slide the tiny magnets along notched nanowires at speeds greater than 100m a second. Since the tiny magnetic domains have to travel only submolecular distances, it is possible to read and write magnetic regions with different polarization as quickly as a single nanosecond—far faster than existing storage technologies.